Since our inception in 1994, The William Warren Group has taken a long-term perspective by focusing on assets that offer growing cash flow and capital appreciation opportunities. 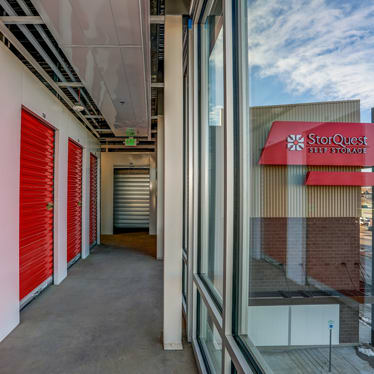 Operating under the “StorQuest Self Storage” trade name, its success in attracting new clients has resulted from focused efforts on long-term relationships, utilization of industry-leading technology to drive store operating results, and the team’s ability to deliver the most unique and original concepts to the marketplace. StorQuest’s best-in-class management solutions provide proprietary pricing models, a powerful marketing and social media presence, sophisticated in-house call center, and robust industry market data generated from our current nationwide portfolio. As specialists in self storage development, The William Warren Group development team understands the complexity of bringing a conceptual project to completion. WWP is a real estate investment firm specializing in the acquisition of high quality self storage properties with the potential for economic growth and capital appreciation. We partner with both institutional capital and mega wealth family offices. If additional information is required, we would gladly arrange a joint called with prospective property sellers and Joint Venture Capital Partners to help answer any acquisitions regarding our relationship. Our Premium Storage Management program provides the opportunity to leverage the systems and strength of the StorQuest Self Storage brand, including advertising and digital marketing, hiring and training and effective revenue management. We typically utilize a 10 year fixed rate, non-recourse loans through CMBS financing products, offered by all the major bank institutions across the United States. In the last 24 months, WWG financed or refinanced approximately $154 million in 25+ transactions.